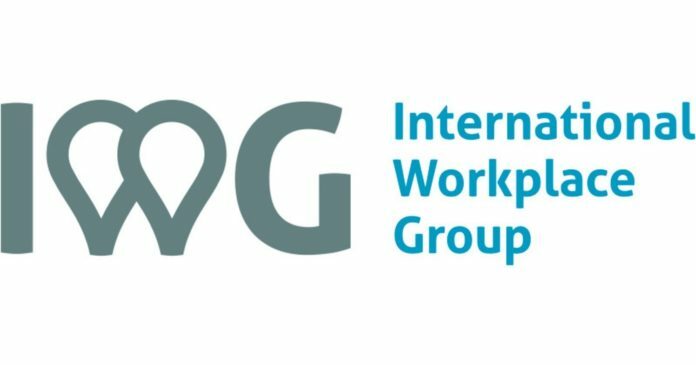 TORONTO, Jan. 23, 2019 /CNW/ – This year will be another record-breaking year in Canada for IWG plc, the global operator of leading workspaces. Its companies, Spaces and Regus, have plans for exponential growth in the coming months with new deals, openings and expansions — across eight Canadian cities — coast-to-coast. In total, IWG will add a workspace footprint of 375,000 square feet in 2019, up by 300 per cent from the space added in 2018. This expansion will bring IWG’s total Canadian footprint up to approximately three million square feet in over 35 cities. The Amsterdam-born creative workspace pioneer will open a minimum of nine new locations in 2019 in Toronto, Vancouver, Montreal, Victoria and Kelowna. The company will also be bringing their largest North American locations to Vancouver and Toronto by 2022. Spaces Gladstone (11 Peel Avenue, Toronto, ON) ~26,000 sq ft Situated in the heart of West Queen West, this new development will feature an artfully landscaped street-level courtyard and a variety of retail amenities. Opening November 2019. Spaces St. Clair (2 St. Clair Avenue West, Toronto) ~25,000 sq ftLocated in Toronto’s affluent Midtown district—a neighbourhood undergoing a complete modernization—Spaces will open on the podium floor and will have a stunning 2,000 square foot rooftop patio. Opening December 2019. Spaces North York (5200 Yonge Street, Toronto, ON) ~40,000 sq ft Featuring floor-to-ceiling glass podium with towering ceilings, Spaces will take over three floors with a rooftop patio in a new residential, commercial and retail development. Opening November 2019. Spaces Liberty Village (80 Atlantic Avenue, Toronto, ON) ~20,000 sq ft The first timber building constructed in Toronto in 50 years, the building will have exposed mass timber columns and beams with cross-laminated timber ceilings. Opening October 2019. Spaces The Well (460 Front Street West, Toronto, ON) ~127,000 sq ft Situated within the highly-anticipated The Well complex, this will be the largest North American Spaces location to date. Opening 2022. Spaces Granville (939 Granville Street, Vancouver, BC) ~78,000 sq ft Opening in Vancouver’s historic Tom Lee Music Building, Spaces will occupy the entire office component of the building. Opening September 2019. Spaces Mount Pleasant (565 Great Northern Way, Vancouver, BC) ~40,000 sq ft Spaces will be located in the Great Northern Way Campus, steps away from the new Emily Carr University and home to Vancouver’s burgeoning tech and start-up scene. Opening September 2019. Spaces Green Lamp (400 West Georgia Street, Vancouver, BC) ~120,000 sq ft A building inspired by the cube lamp design of 20th century Japanese artist Isamu Noguchi, the development will feature lush living walls, glass floors, operable windows, a number of patios with breathtaking views. Opening 2021. Spaces Cité Multimédia (75 Queen Street, Montreal, QC) ~35,000 sq ft Spaces will open on the main floor of the Cité Multimédia building and will become part of the historically rich and architecturally significant area. Opening December 2019. Spaces Uptown Vic (3450 Uptown Blvd, Victoria, BC) ~25,000 sq ft In the open air, village-style urban neighbourhood of Uptown Victoria, the new Spaces will open in a ‘work, live, play’ complex. Opening September 2019. Spaces Kelowna (460 Doyle Avenue, Kelowna, BC ) ~22,000 sq ftSpaces will bring coworking to Kelowna’s technology and business community opening in The Innovation Centre, a new technology-centric building. Opening September 2019. Regus has built an unparalleled network of office, co-working and meeting spaces around the world and continues its growth in key markets in Canada—which opened three centres in fall 2018 and will be opening three new centres in 2019. Victoria – Yates (535 Yates St., Victoria, BC) ~13,000 sq ft: opening August 2019. Barrie (49 High St., Barrie, ON) ~8,000 sq ft: opening December 2019. Toronto Exchange Tower – expansion (130 King St. W., Toronto, ON) ~new total 50,000 sq ft To meet the growing demand in Toronto’s financial core, Regus is expanding from the 18th floor to include the 19th floor of the famed Exchange Tower. Opening March 2019. Digitalization and new technologies are transforming the world of work. People want the personal productivity benefits of living and working how and where they want. Businesses want the financial and strategic benefits. Our customers are start-ups, small and medium-sized enterprises, and large multinationals. With unique business goals, people and aspirations. They want workspaces and communities to match their needs. They want choice.